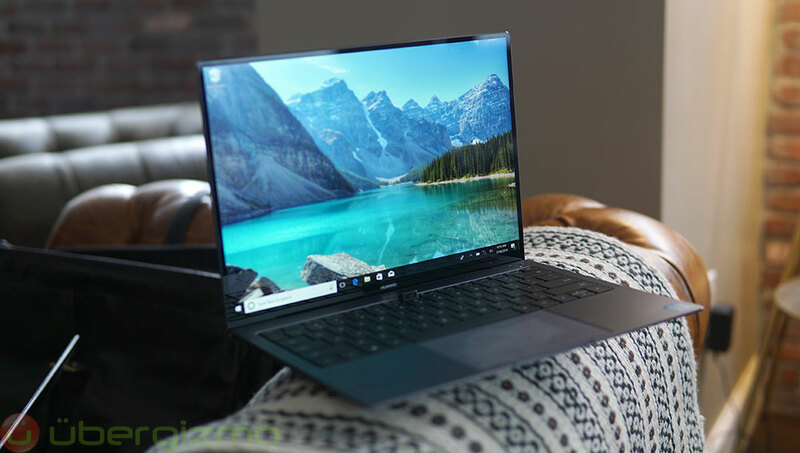 It wasn’t too long ago that I got to work and play on a Windows 10 laptop that looked nothing like other laptops when it comes to one key aspect, the display — because of course it looked a lot like Apple’s MacBook Pro and MacBook Air when it comes to overall design. What’s really amazing about the MateBook X Pro is the incredible 3K screen that occupies almost the entire top. That’s because Huawei placed the webcam under a keyboard key to expand the laptops screen size, without increasing its footprint. The laptop is slightly more compact than the MacBook Air — the full review is available here. At the time I said you absolutely have to try it if you get a chance, not knowing whether the laptop would ever be available in the US. The MateBook X Pro, Huawei’s current flagship laptop, is coming to the US after all. Huawei, of course, is one of the Chinese companies having a hard time selling products in the US right now. That’s probably why the company did not announce US launch plans back in February when it unveiled the laptop at MWC 2018. Now we know the 13.9-inch laptop will sell for either $1,199,99 or $1,499,99 00. The latter model will get you a better processor, twice the memory (16GB) and storage (512GB SSD) as the base model. While that’s expensive, I’ll remind you that you’re going to get a premium device for your money. The laptop is should be available online right now from a bunch of US retailers, including Amazon, Newegg, and Microsoft. Yes, you’ll actually be able to check out the laptop in Microsoft retail stores starting May 23rd. The good news is that, if you act fast, you’ll be able to score $300 off on your MateBook X Pro purchase. According to the press release, you should receive a $300 gift card valid towards future purchases if you buy the laptop through June 10th.